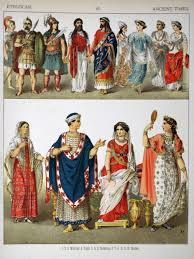 Ancient Rome was a chiefly Patriarchal society. 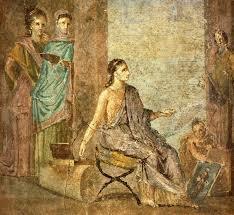 The women in ancient Rome had no power in the society, be it political or trade-wise. These were chief dominions of men; House was a Roman Woman’s main station of work. 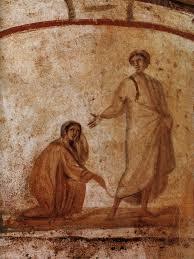 The ancient Roman female was considered inferior to men in all respects, their only function was to make the men happy. Another controlling device that was used against Roman Female was the practice of not allowing them to have personal names. Instead, a woman took her father’s middle name or Nomen and feminized it. From a Roman woman’s name, you could tell who her father was and therefore, her position within society. Female existed within their families and had no identity of their own. The lives of women varied according to their social standards. The main work of women, irrespective of their class, was to give birth to and raise children. Keeping the house, presiding over slaves and workers and hosting parties and orgies were her other jobs. Women of middle and lower class also had to work outside their houses and help their husbands to support the households. Education among women was frowned upon. But since raising kids involved giving them basic education and teaching them culture, most were educated. Roman women had no right to keep the property. Before marriage, her property (and her life) was controlled by her father. This was known as Pater Familias (paternal family) and could also refer to grandfather or adopting father or guardian. Their fathers had absolute control over their lives and could even sell them into slavery or force them to get a divorce. The female was not permitted to do anything they wanted with their own money since personal wealth is always equated with power. It would seem likely that women with wealth would have more power over their lives, but this would depend upon her father or guardian or husband. In either case, Women were expected to have a legal guardian because they were not considered smart enough to act in their own best interests. Marriages were often without manus, meaning that the father kept the property of his daughter and would, therefore, retain a hold over her wealth. 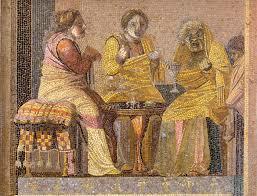 A marriage with manus gave power to the women to her new husband, as well as ownership of her property. Domestic abuse of wives, by the hand of a husband, was a punishable offense. The divorce was very easy by requiring no reason or cause. If they had children at the time of the divorce, women’s were forced to leave them behind. When marriages dissolved, Female had no legal rights concerning the offspring and often never saw them again. It is evident that female had certain prescribed roles to play within Roman society: child bearer, mother, daughter, and wife. Still, she had to know their place, remain modest, be tireless, and both loyal and obedient — emotionally, physically, and financially to their families. That was what Roman men were looking for.